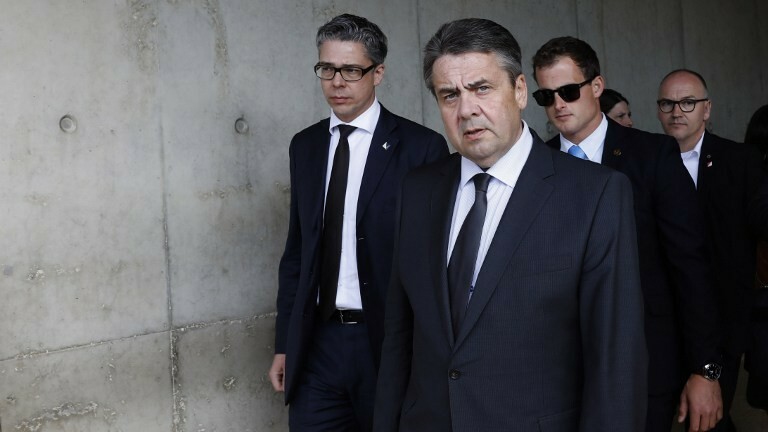 Several cabinet ministers on Tuesday threw their support behind Prime Minister Benjamin Netanyahu’s refusal to meet with visiting German Foreign Minister Sigmar Gabriel, unless Berlin’s top diplomat canceled planned meetings with left-wing groups critical of Israel’s army. As first reported by Israel’s Channel 2 on Monday evening, Netanyahu’s office presented the German minister with an ultimatum: either he cancel his meeting with Breaking the Silence — an Israeli NGO that publishes the testimonies of former Israeli soldiers who report on human rights abuses in the West Bank and Gaza — or the prime minister will refuse to welcome him. German officials reiterated Tuesday morning that Gabriel does not intend to change his schedule, indicating that he would go ahead and meet Breaking the Silence and another leftist group, B’Tselem, later on Tuesday. “Foreign countries must not intervene in Israel’s internal matters,” the minister wrote on Twitter. 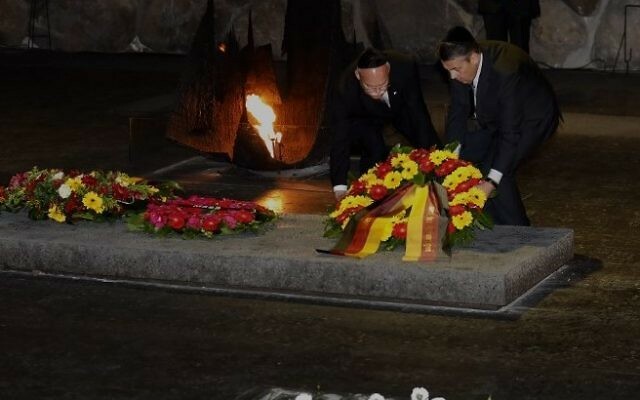 However, President Reuven Rivlin announced his scheduled meeting with Gabriel would go ahead on Tuesday afternoon. 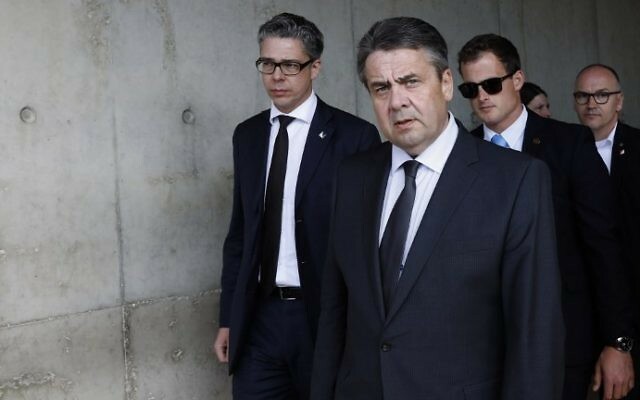 The showdown between Jerusalem and Berlin deepened on Tuesday morning, when Gabriel said that it would be “regrettable” if Netanyahu were to disinvite him, but insisted that he would not change his plans. “It’s difficult for me to imagine that the meeting will be canceled, because this would be very regrettable,” he said. “I don’t want to make a drama about it,” he said in a television interview, but added that it would be “exceptional” if the Israeli prime minister were to boycott him. Speaking to German national television ZDF from Jerusalem, Gabriel said it was usual for him during trips abroad to speak with civil society organizations, even if they were critical of the government. “In no country in the world can you get a reasonable and comprehensive impression if you only meet with government representatives. You have to meet, as we did yesterday, with writers, with artists and students, and also with critical organizations,” he said. Breaking the Silence and B’Tselem are organizations that are very critical of Israel’s policies vis-a-vis the Palestinians, Gabriel allowed. Earlier on Tuesday, Gabriel met with Palestinian officials in Ramallah. He also met with Ir Amim, a left-wing Israeli group. 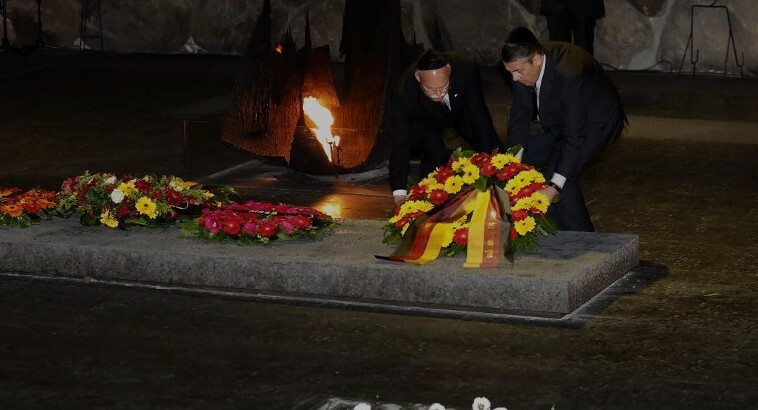 Gabriel, in the country to mark Holocaust Remembrance Day and discuss peace efforts, was originally slated to meet with Netanyahu and Rivlin later Tuesday. The Rivlin meeting is still going ahead, the president’s office said, and Gabriel noted it as a sign that he was still welcome in Israel. Being blackballed by Netanyahu “wouldn’t be a catastrophe for me; I’ve been to this country so many times and have many friends. It won’t change my relationship to Israel,” he said. The prime minister’s ultimatum divided Israeli politicians, with many on the right backing his threat and those in the opposition warning it could harm ties with Berlin. “Netanyahu’s ultimatum to the German foreign minister seriously harms Israel’s ties to Europe’s largest economy and a true friend of Israel,” opposition leader Isaac Herzog of the Zionist Union faction said late Monday. 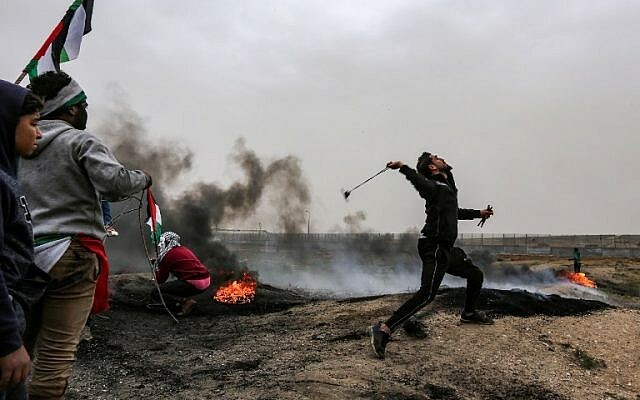 B’Tselem, an Israeli human rights group, uses Palestinian photographers and videographers to document the conduct of Israeli soldiers and settlers in the West Bank. 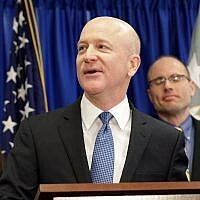 Last October the NGO’s executive director, Hagai El-Ad, called for the United Nations to take action against Jewish settlements in the West Bank, telling a special session of the Security Council that Israel was creating facts on the ground in advance of any peace agreement with the Palestinians. Breaking the Silence collects reports, usually anonymously, from IDF veterans about alleged abuses by soldiers in the West Bank. It has often locked horns with the Israeli political and military brass and its critics have denounced its reports as dishonest and part of an advocacy campaign intended to harm Israel’s image overseas. In February, Belgium’s Ambassador to Israel Olivier Belle was summoned for a dressing down in the Foreign Ministry over a meeting by his country’s prime minister, Charles Michel, with representatives of the two NGOs. 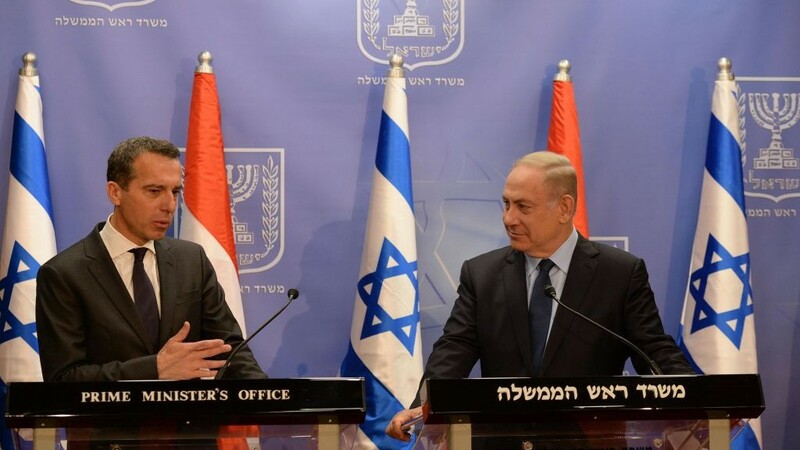 Michel met with the heads of Breaking the Silence and B’Tselem despite a direct appeal by Netanyahu to Belgium to end its support to groups he said he considers damaging to the country. 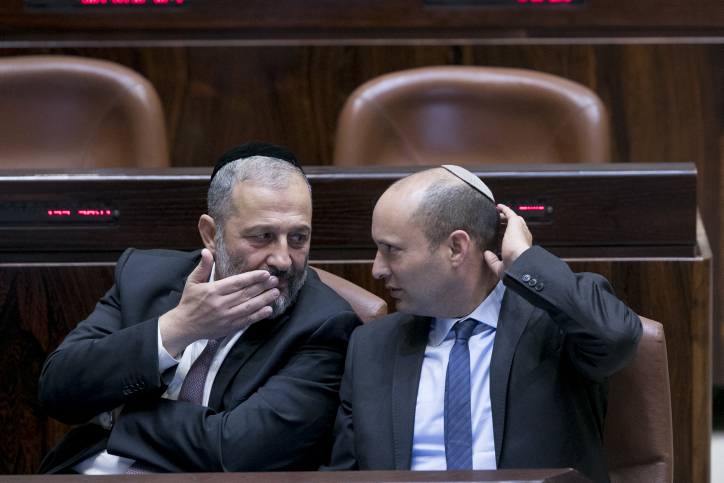 Amid intense public debate over the legitimacy of left-wing NGOs operating in Israel, Breaking the Silence and B’Tselem have been the target of Knesset legislation aimed at curbing their political activity.